within its family of companies. one-stop-shop for producing global video content. 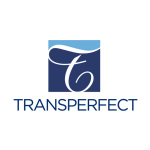 clear that TransPerfect shares our undying commitment to client service. Production, Barnaby Wass, also based in Barcelona. corporations delivering more and more content via video is undeniable. company’s Barcelona studio headquarters. To find out more, visit www.propulsevideo.com. information, please visit our website at www.transperfect.com.